What Is Mother’s Day All About? We all have a special bond to our moms so why not show it on this special day? So, what is Mother’s Day all about, how did it begin and most importantly what should you get for your mother this holiday? Well, quite simply it is a day to celebrate and honor all mothers, stepmothers, mother-in-laws, and guardians (eg. foster parents). There is some similarity between this day and Father’s Day. Both of these special days can be traced back to about two thousand years. Although there are a number of different origins associated with Mother’s Day. I will go through each of these in this post. Before I do begin I just want to point out why this date is included on a genealogy website. 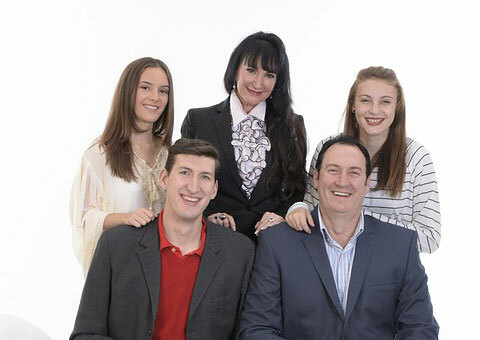 As I have researched my ancestry for a number of years now I have grown to appreciate my family more. From time to time we take things for granted, and this is especially true for our family who are always there for us. Check out the following short video from Ancestry that honors mothers everywhere. When you research your family’s history you learn to appreciate them more and what they really mean to you. Not only do you start to comprehend the hardships that they may have endured, as well as the sacrifices, but also the distances that they may have traveled in order to find work or to start a new life. It is also true to say that if it wasn’t for their life choices then we wouldn’t be here today. If it wasn’t for your great grandfather, say who traveled to the new world, then you may not be here at all. It’s worth thinking about! When Did Mother’s Day Start? Although this recent convention began in America in the early 20th Century it does have its origins in Ancient Greece and Rome. The Greeks and Romans worshiped the mother goddesses Rhea and Cybele. Both of these women were described as the mother of the gods. These ancient goddesses symbolized both fertility and the bounty of the earth. Another example of paying respect comes from a European Christian event held during Lent called Mothering Sunday. This occurred three weeks before Easter Sunday, the fourth Sunday of Lent to be precise. Celebrating the beginning of life at the Mother Church! Parishioners would return to the church where they were baptized and began their early life. This church was known as the Mother Church. This special service though did not celebrate motherhood. This celebration though in time became secular, meaning free from religion. On this day children would present their mothers with flowers and gifts. During the 1930s and 1940s this custom morphed into the American version of Mother’ Day that we all know of today. Because of this many people in Britain blame America for changing the name from Mothering Sunday to Mother’s Day. The British though in fact changed the meaning of this event themselves. The Americans can thank the Mother of Mother’s Day Anna Jarvis for giving mothers their own special day. Anna’s mother Ann Reeves Jarvis set up Mother’s Day Work Clubs in the 1850s. One of the purposes of the clubs was to improve sanitary conditions. She would teach mothers how to properly care for their children and so help to reduce the infant mortality. Later on the clubs helped wounded soldiers during the American Civil War of 1861 to 1865. After the Civil War had ended Ann created a Mother’s Friendship Day. This particular day saw mothers of veterans from the Confederacy and the Union united. Ann was a peace activist and treated wounded soldiers from both sides of the war. Anna wanted a special day for all mothers! After her mother’s death in 1905, Anna sought for a special day to not only celebrate all mothers but her own mother Ann. She had help from a businessman and as a result of this held events in 1908 in the cities of Grafton, West Virginia and Philadelphia, Pennsylvania. Grafton was her family’s hometown and Philadelphia was where Anna moved to. She wrote to clergymen, educators and politicians to help spread this special day all over America. As a result of this it soon spread over the United States within a few years. By 1914 President Woodrow Wilson proclaimed that the second Sunday of May would be Mother’s Day. This day would be used to express love and respect for all mothers of America. To Anna’s resentment this special day became commercialized. Retailers would sell flowers, candy and cards for people to give to their mothers. By 1920 Anna no longer wanted to be associated with Mother’s Day. She even went as far as urging people not to buy gifts for their mothers. Anna rather wanted people to show their love for their mothers not by buying gifts but rather by writing letters. Earlier in 1912 Anna attempted to secure a trademark for Mother’s Day and also the phrase “second Sunday in May“. She was also adamant that the spelling of the day was Mother’s and not Mothers, the latter means commemorating all mothers. Then Anna turned her back! She even tried to threaten lawsuits by suing the infringers, i.e. the retailers who were making a profit. While protesting Mother’s Day she was arrested for disturbing the peace. Surprisingly, or maybe interestingly, Anna never married and she herself was never a mother. As Anna’s mother loved carnations this became the official flower of Mother’s Day. A red carnation is a symbol for honoring a living mother, while a white carnation honors a mother that is no longer with us. So you may be asking yourself when is Mother’s Day? Most countries have adopted the second Sunday in May. However, fifteen countries observe March 8th as the day to honor their mothers. This day is also known as International Women’s Day. The United Kingdom, Ireland and Nigeria themselves celebrate this special day on the fourth Sunday of Lent. The United States, Canada and Australia spoil their mothers on the second Sunday of May. Why not check out other dates that countries all over the world celebrate Mother’s Day. There is nothing more special than giving your mom a gift that clearly shows you have put a lot of thought into it. So, if she is interested in genealogy then how about buying her a family tree wall decal kit. With this kit she can proudly display her family tree which can make a great feature wall. There are only four steps to put the decal on your wall. Firstly, you will need to cut out the individual pieces. After that you just peel off the backing paper and then apply to your wall. Then the final step is to remove the peel transfer sheet from the back. Once you have applied the decal it will just blend into the wall as it looks just like paint. It can really make an impression to any house guest. It can be put in the foyer, living or dining room, or maybe she would like it in her bedroom. Please note though that this is just the wall decal. You will also need to buy the photo frames as well to finish off this stunning feature for your mother. May I suggest this set of 10 solid wood frames. They will definitely complete your mother’s family tree wall decal. I hope you enjoyed this article regarding what is Mother’s Day all about. If you have any questions or comments then please leave a comment below. It has quite an interesting background to Mother’s Day. I quite enjoyed putting this post together. Hi! Really interesting article. So many information about one day. I really appreciate, that you wrote this great overview. Thank you and I am glad that you like it. It is really fascinating about the origins for this day. 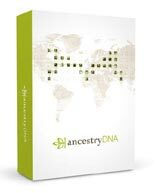 I find a lot of interest in trying to find my ancestors. I used to be able to log in a site, and look for background information and who was so and so. Now it costs money. As far as Mother’s Day, I do not celebrate it from any pagan holiday or tradition. I can “celebrate” it any time I wish. I loved my mom, but I did not need a date to tell her so. I do not need a date, like the pagans used in their celebrations. Pagans all had certain dates to celebrate their holidays. It is interesting to find one’s ancestors. Unfortunately yes it does cost money, but these fees do go toward many things. Things such as transcribing records, maintenance cost, help and support for users, and so on. As you said it is important to show our love to our mother always. True that there is the pagan origin but this is a modern invention. It has though turned very commercial. I always like being able to check out where some of our events have evolved from the past to present. It is quite surprising some of the details you can find out about things if you dig deep enough. Liked your article and some of the other comments are great as well. Its articles like this that can get you thinking of a lot of things we may take for granted. This is a great site loads of information. 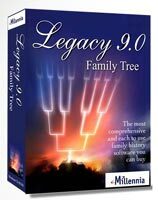 I’m using some suggested resources to look at my genealogy. The Copeland is an old family and we can trace it all the back to North Umber, where Richard Copeland killed the ruler of Scotland on the orders of the king of England. He did get all his teeth knocked out during the battle but he was given much land in Scotland. During the civil war Ruben and Zachary Copeland fought on opposites sides and we kind of lose the thread there. Thanks for the info and I will swing by again. I found this so interesting and informative – I didn’t know that Mother’s Day originated because of the Mother Gods Rhea and Cybele in Ancient Greece and Rome. I think it’s important to remember this day so I am glad you have dedicated a post to it. A fascinating article. I never knew all of this before. Unfortunately, Anna would be very disappointed in the way Mother’s Day is commercialized today. But I agree with her, it should be more about showing love and respect for our mothers rather than just buying them expensive gifts. Thank you for the history lesson. It is quite an interesting story behind the day. Also, that it is celebrated on different days for different countries. I like learning new things, it enriches us. Interesting. I never thought that Mother’s Day as a Goddess day. Anyway, in Indonesia, we celebrate Mother’s Day on December 22nd. That’s why it is a bit weird when I’m on the internet and saw all the posting about Mother’s Day even though it is not December 22nd. I think old habit dies hard, huh? It’s interesting that this day is celebrated all over the world. But different countries celebrate it on different days. Very nice article. Before I read your blog, I knew so little about Mother’s Day and I have to thank you for giving me enough knowledge and reasons to honor the most important woman in my life. Mothers are the ones who nurtured us from the very beginning of our existence. They are the ones we run to when nobody else remain on our side. They truly deserve to be honored. Seems like Mother’s Day and Father’s Day started around the same time frame. I think it is a bit commercialized. My son hand makes me a card every year that touches my heart more than anything. For me, that is hands down the best gift he could give me. What he writes just makes my heart melt. Everything is definitely too commercialized these days. I enjoyed your post about the origin of Mother’s Day. I had never heard about the way Mother’s Day began. Reading you artical was educational. The only Mother’s Day I celebrate is my wife’s mother’s Day since my mom died about 18 years ago. I think it’s a good holiday to celebrate, mother’s deserve it. Nice article! Maybe it is just me but I did not know that carnations were officially mother’s day flowers till I read your post. Very informative! Thank you! You’re not the only one. I didn’t know myself until I was researching this. But maybe that’s because we’re male, lol. It was interesting also to note that red and white signify different things also. Hi Owain. I found this article informative. I did not know the origins of Mother’s Day! Interesting to learn of the strife Anna Jarvis faced with keeping her commemoration for all Mothers, the way she wanted. Typical commercialism taking over, just like for Christmas. Our Mothers are dear, and honoring them on their special day is one of those traditions that should always be marked on the annual calendar. Yes that is certainly true about the commercialism, especially even Christmas. So it is important to remember the true meaning. We can also enlighten people about the origins of this day and hope that people will enjoy it more for what the day is truly about. Thank you for enjoying it. You may also enjoy reading my Father’s Day Article. Great article and very articulate on the history of Mother’s Day. You must have done alot of research to put this together. Thanks for sharing! It did take a while to get all the facts and put it together. I like stories like this as they can be quite interesting to find out the origins. Despite being commercialised as it is, it’s still a wonderful tradition, and I think anything that brings families together is a good thing. Just about everybody I know loves to give their mother a present on Mother’s day. It was interesting to read some of the history of it and what happened to Anna Jarvis who started it. True it has become commercialised but it is important to remember why we celebrate this day. It was quite interesting finding out all the facts about this story. You may also be interested in my Father’s Day article as well. Aww, I’m glad that my post made you feel that way. That’s great. I understand what your mother is saying. I hear that from my father as well for his day, although for a different reason. He too believes that it has become commercialised but we still celebrate with him regardless. And secretlyhe appreciates it too, lol.